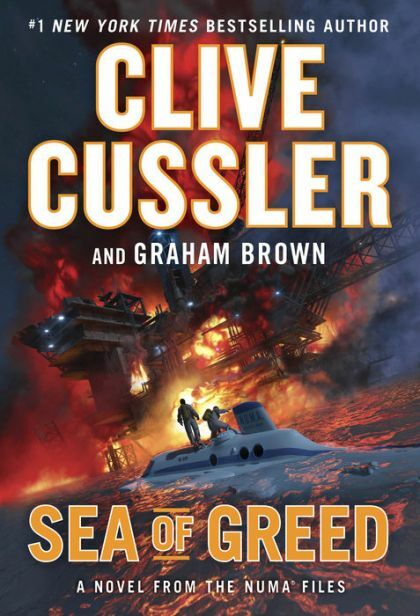 After an explosion in the Gulf of Mexico destroys three oil rigs trying to revive a dying field, Kurt Austin and the NUMA Special Projects Team are tapped by the President of the United States to find out what&apos;s gone wrong. The trail leads them to a brilliant billionaire in the alternative energy field. Her goal is the end of the oil age. Her company has spent billions developing the worlds&apos; most advanced fuel-cell systems. But is she an environmental hero ... or a rogue genetic engineer? The NUMA crew discovers that the oil fields are infected with bacteria that are consuming the oil before it can be pumped out of the earth -- a bacteria originally lost decades ago when two submarines vanished in the Mediterranean. With hired killers on his trail, can Kurt Austin locate a submarine that&apos;s remained hidden for more than fifty years? And even if he can, can the biological terror that&apos;s been unleashed be stopped?